Can We Study Geology and Evolution without a Time Machine? How can we study geology and evolution without a "time machine"? However, if we weren't there in the past to observe events, how can we know what happened so we can explain the present? It would be great to have a time machine so we could know for sure about past events. Christians of course claim they do, in a sense, have a "time machine." They have a book called the Bible which claims to be the Word of God who has always been there, and has revealed to us the major events of the past about which we need to know. The planets and moons of our solar system are much too far away for humans to examine first-hand, although humans may travel to Mars in 20 years or so. For distant stars and their planets, we rely completely on powerful telescopes and exotic techniques such as measuring subtle changes in the light from a distant star (indicating that a planet has passed between us and the star). And galaxies are so much further away that there is, at present, no foreseeable technology to permit humans or our spacecraft to study these objects close-up and first-hand. Atoms and molecules are much, much too small for any human to examine first-hand. Thus we rely on exotic equipment such as electron microscopes and atomic-force microscopes to "see" them. Chemical reactions cannot yet be observed at the atomic-molecular level, at least not in any way that truly displays everything that is actually happening. The nucleus of an atom is far, far smaller than anything that can be seen, even with equipment such as atomic-force microscopes. Thus, in their analyses of nuclear structure, scientists rely exclusively on huge, very-high-energy accelerators such as the Large Hadron Collider in Europe. In other words, each of the above aspects of our physical world can only be studied via empirical evidence that is certainly very far from anything that we can directly sense. Yet few, if any, persons nowadays seriously doubt that the sun and the planets of our solar system really do exist at roughly the distances scientists claim them to be, or that stars and galaxies populate the universe thousands or millions of light-years away, or that there really are structures known as molecules, atoms and nuclear particles, with roughly the sizes and possessing the properties that scientists assert for them. For additional discussion, see Theory. In fact, there are a number of ways that scientists can peer into the past with considerable confidence. To begin with, radiometric dating permits scientists to measures dates of fossil layers and the like, based on measurements of the prevalence of certain radioactive isotopes that can be found in many rocks. This technique has been refined and polished over several decades, and in the process has become very reliable. What's more, measurements of rates of radioactivity are now on very solid ground. For additional details, see Radiometric dating and Reliability. The prevailing theory of Type Ia supernovas is that they occur in a binary star system when a white dwarf star starts to attract matter from a larger mainstream or red dwarf star. As the white dwarf gains more and more matter, eventually the star becomes unstable and undergoes a runaway nuclear fusion reaction, producing an extremely bright event that often may briefly outshine the entire galaxy that the supernova is located in. Because this process is well understood, and can occur only within a very narrow range of total mass, the absolute luminosity Type Ia supernovas is very predictable, varying only slightly according to the shape of the supernova's rise-fall curve. 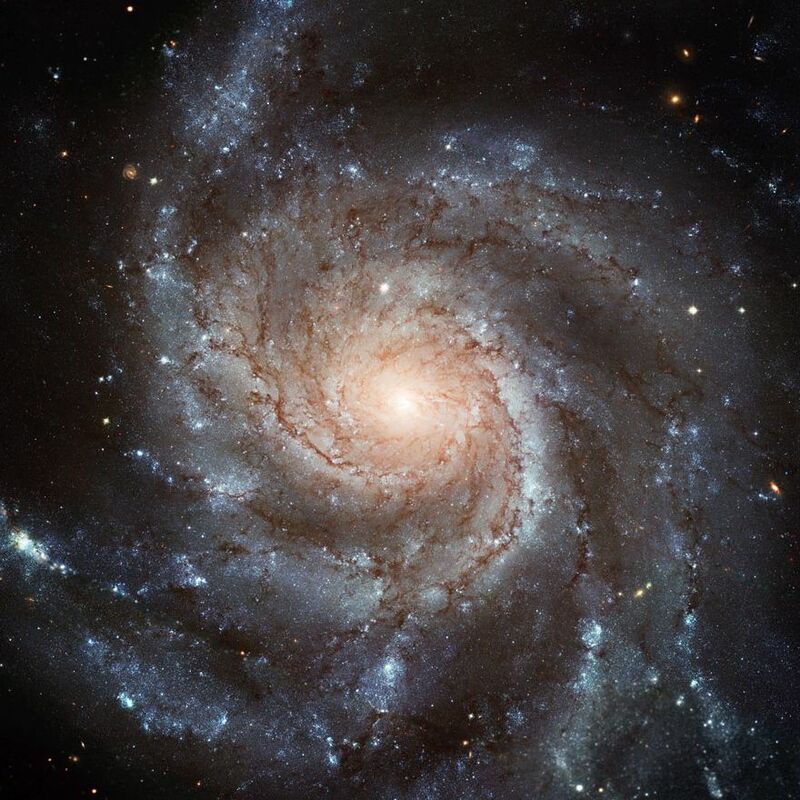 Thus Type 1A supernovas are one of the most widely used "standard candles" to measure distances to remote galaxies and other astronomical objects. For additional details, see Distance. The light intensity spectrum, from the earliest moments of discovery to the present (it is still being observed as of this writing), has been more accurately measured than with any previous supernova observation. 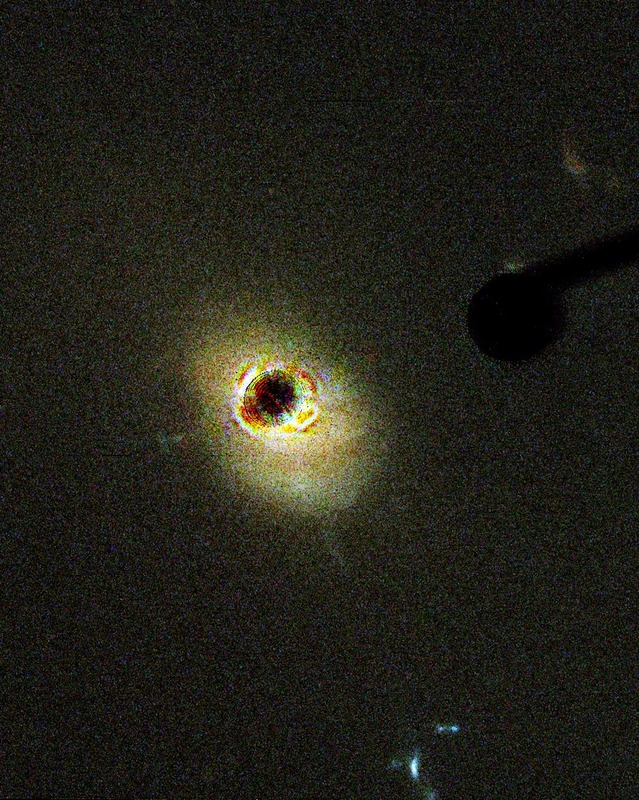 The early light intensity and spectrum measurements enabled the scientists to rule out several alternative models of supernovas, including red giant stars to double-white-dwarf systems, and confirm the progenitor star was definitely a carbon-oxygen white dwarf, and its companion was a main sequence star. Initial measurements of oxygen ejected from the star found some traveling much faster than expected, but subsequent analysis explained this by determining that the oxygen was not evenly distributed when the dwarf exploded. A tremendous amount of mixing had occurred, with some radioactive nickel mixed all the way to the photosphere (the outer region that generates the light that we observe). In general, the sequence of radioactive decay, which produces most of the light we observe, was confirmed: nickel-56 decays to cobalt-56 and finally to iron-56, all in accordance with long-standing theoretical models and past empirical observations. In short, the most carefully studied Type 1A supernova in history confirmed that the fundamental physical laws in play when this supernova exploded 21 million years ago are indistinguishable from those laws we measure in earth-bound laboratories today. Among these laws are the laws of radioactive decay, as well as fundamentals of quantum mechanics and general relativity. As of January 2013, thousands of Type IA supernovas have been identified and studied, with similar conclusions as to the laws of physics. The most distant (and thus the most ancient) of these to date is 10 billion light years away, which means that it erupted 10 billion years ago, not long after the big bang. Nobel-prize winning astrophysicist Saul Perlmutter, of the Lawrence Berkeley Laboratory, puts it this way: "Imagine you're channel surfing and you come across live news coverage of an exploding star -- and then you see the dateline that says it's July 22nd, 9,947,989,219 BCE! By August 9 the supernova is at its brightest and starts to fade, but you get to watch the whole thing -- even though, before the news could ever reach your TV, our solar system had to form, and then our planet, and intelligent life had to evolve on Earth." [Preuss2013]. In summary, the large telescopes that scientists use to observe these distant galaxies are, in a very literal sense, "time machines." And the fact that scientists can make ever-more-sensitive and comprehensive measurements of very distant astronomical objects, and in the process confirm, to exquisite precision, many the most sophisticated predictions of basic universal laws, is moot but overwhelming testimony to the reliability of these laws over cosmic time. For additional discussion, see Radiometric dating, Reliability, Theory, Uniformitarian, Distance and Deceiver.